Hummersknott Badminton – Catch the Vision. Support the Vision. We believe that our achievements are unique in world youth sport. “Another magically fantastic endeavour which has certainly been the Highlight of my year. I look forward to these trips more than Christmas!” so wrote James, the last Team Captain, after a recent foreign tour. We’re young people from Hummersknott Badminton Club and we’re trying to crowdfund money to help our student team head off on further international tours, meet like-minded young people, play badminton and experience new activities and cultures. We realise we have a huge responsibility as ambassadors too. The trips have been building confidence, developing lifelong friendships, fostering a sense of independence and developing organisational and social skills to prepare us for later life. So far we’ve always been able to provide free of charge local on-court play, shuttlecocks, coaching and a lot of transport. Maybe you benefited yourself? After completing four Stages with The Key (north-east charitable organisation), we’re now trying our own crowdfunding campaign with their help. Our Club’s activities are now in their 43rd season and hundreds of players have benefited from involvement. 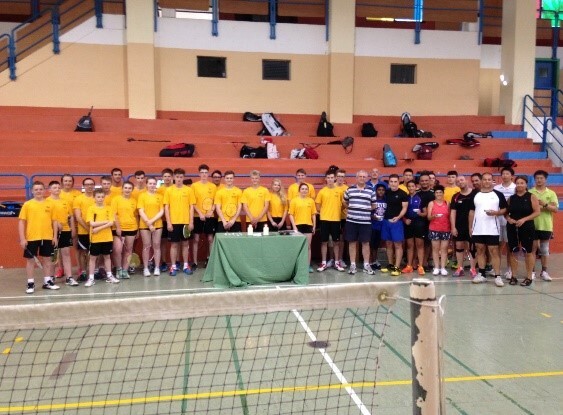 Our Club has been touring abroad since the late 1990s and has so far played in 27 countries. This Summer 2016, we went to Malta, Spain, Andorra, Gibraltar and Portugal — all new countries for the Club! Our banner in recent seasons has been ‘Promoting Junior International Friendship Through Sport,’ which superbly echoes the Club’s ethos. The support from The Key in previous projects has been a great encouragement. It has helped the players to develop many life skills. Our tours are inevitably expensive and some players have to raise all of the funds themselves – no mean feat for students. We’ve previously managed this by participating in many bag packs: we’re not afraid of hard work. However, there are both time constraints and logistical constraints regarding the number of stores that we can attend. It is important for us to make sure academic work comes first. Whilst we’re working hard to raise the funds needed to make this sort of trip happen, we would love to do more. Here’s where you can help and get involved in a small or large way by clicking “donate“! Our Hummersknott Badminton Club Facebook page will give you links to obtain fuller details of tours and we can answer any questions that you may have. We would like to invite donations to this fund-raising venture in a small or larger way. Every donation will be appreciated. The funds will be used to enhance planned tours and allow further tours to take place. Donors may like to consider covering the costs of some specific visit or activity and we would be happy to discuss options (including co-operating with some publicity for businesses). Another idea would be to ‘sponsor a specific student’. But one or two steps at a time! Accepting help with this site from “The Key_your potential unlocked” means donations can be Gift Aided and provided in any currency. Of course, the Club Management Committee guarantees to use all monies raised in the spirit expressed. 1. April to Italy – especially for younger ones – 8 nights in Rome and Naples (details available via Facebook link). Darlington has a Town Friendship Agreement with Bracciano in Rome — entirely through the Club, with that link being initially generated in July 2014. 2. July to Central Europe — principally for older ones — to play badminton, benefit from the culture, education and geography. Included, we hope, is a visit Opole in Poland which has a Town Friendship Agreement with Darlington. Auschwitz is nearby by and is a life experience that we believe would enhance, in a sobering way, another tour. We also would like to travel to Northern Ireland where we have never played but from where we have received invitations. It should be possible to include a return to Dublin, where we played many years ago, at the same time. It would also be fantastic to return to Darlington’s Twin Towns in both Mulheim and Amiens. 2018 is the Golden Jubilee of Hummersknott School (now Academy). Our Club has run for the vast majority of that time and one way of Celebrating will be to invite former players back for reunions and to play again in the Academy’s Sports Hall. This is a further particular aim of our project. We therefore plan to provide a few occasions whereby alumni of the Club and other supporters can take part in a Badminton Bonanza Celebration in 2017 and 2018. Former players especially will be invited to come and develop the occasion as a Reunion. Please do inform us if you would be interested – whether or not you can donate! If there is interest, we shall attempt to co-ordinate and advise. We understand players from the same era would want to attend together. In addition, it is hoped to host other social events like a band evening or quiz night (again, details on the Club’s Facebook page). Badminton would be available during the day. Come along, meet up with former team mates and enter a quiz team? Left: beyond and above self-help, the players, parents and leaders have often been involved in fund raising for other causes. 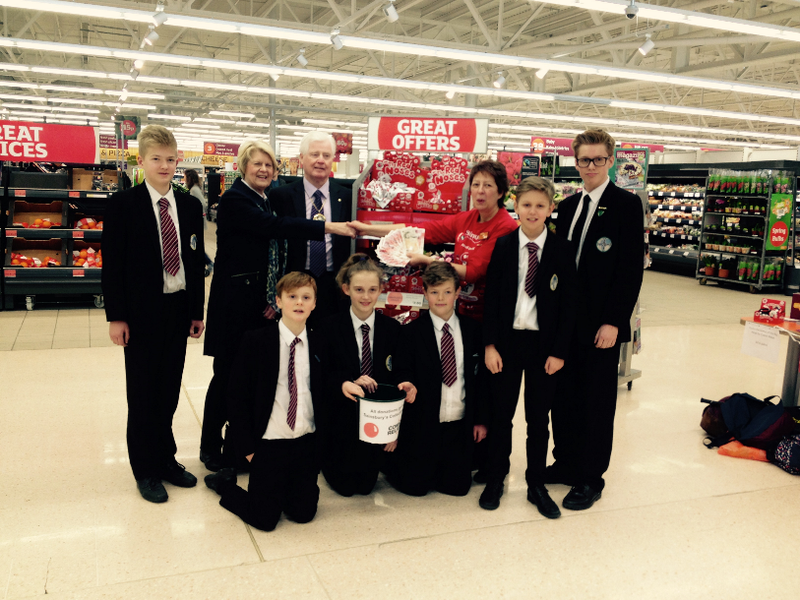 For example, in 2015 and 2016, the Club raised over £3300 at Sainsbury’s in Darlington for their Comic Relief and Sport Relief appeals.